California Expands Lactation Accommodation Obligations For Employers: Does Employer Comply With Requirements? Do you have a reason to believe that your employer fails to comply with the expanded lactation accommodation requirements? Contact Rager Law Firm and schedule a free consultation with our Los Angeles employment law attorney to speak about your particular case. 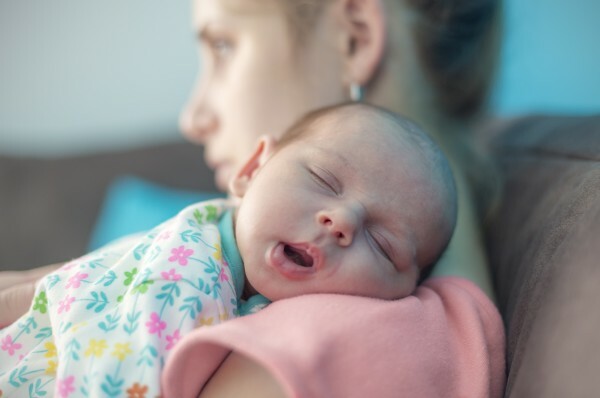 California Expands Lactation Accommodation Obligations For Employers: Does Your Employer Comply With The New Requirements? Outgoing California Governor Jerry Brown has strengthened breastfeeding protections in the workplace. Assembly Bill 1976 has been approved and signed into law by Governor Brown, expanding lactation accommodation requirements for employers in California. Our Los Angeles employment law attorney at Rager Law Firm explains that prior to the recently signed law, California employers had an obligation to provide breastfeeding employees with a private location, other than a toilet stall, and provide the employee with a reasonable amount of break time to feed an infant child with milk or express milk. The preexisting California Labor Code section 1031 has been amended by Assembly Bill 1976, which requires employers in the state to make available a private location other than a bathroom and a toilet stall unless doing so would impose an undue hardship on the employer. Demonstrate evidence that the operational, financial, or space limitations make it impossible to establish a permanent lactation location. Ensure that the temporary location will be used only for lactation purposes for the duration required by an employee to express milk. Ensure that the temporary location is private and cannot be accessed while an employee expresses milk. Ensure that the temporary location meets other requirements under California laws that govern lactation accommodation in the workplace. “A different set of rules applies for the agricultural industry, as specified by the recently signed law,” says our experienced employment law attorney in Los Angeles. For employees working in agricultural settings, employers are legally required to provide a private, enclosed, and shaded space. Given that not that many locations can be used for lactation purposes in agricultural settings, an air-conditioned cab of a truck or tractor may be sufficient. Does your California employer comply with the new lactation accommodation requirements? Other than that, under the new law, employers in California have an obligation to provide breastfeeding employees with a lactation location, other than a bathroom and toilet stall, that is within a reasonable distance from the employee’s workplace or work area. The location must also afford the employee privacy, while the employer must ensure that the private area is free from intrusion. In some cases, the area where a breastfeeding employee works may be appropriate for lactation purposes as long as it meets other requirements outlined in the recently signed amendment. However, not all employers can be reasonably expected to have the means and the funds to provide a private lactation location other than a bathroom. And the amendment recognizes that. If an employer can show proof that providing a lactation location other than a bathroom would impose an undue hardship on him or her, he or she will only be expected to make reasonable efforts to provide a breastfeeding employee with a private area other than a toilet stall. When determining whether or not an employer can qualify for the exemption, such factors as the size, nature, and structure of the employer’s business will be taken into account. Do you have a reason to believe that your employer fails to comply with the expanded lactation accommodation requirements? Contact Rager Law Firm and schedule a free consultation with our Los Angeles employment law attorney to speak about your particular case. Call at 310-527-6994 for a free case evaluation.